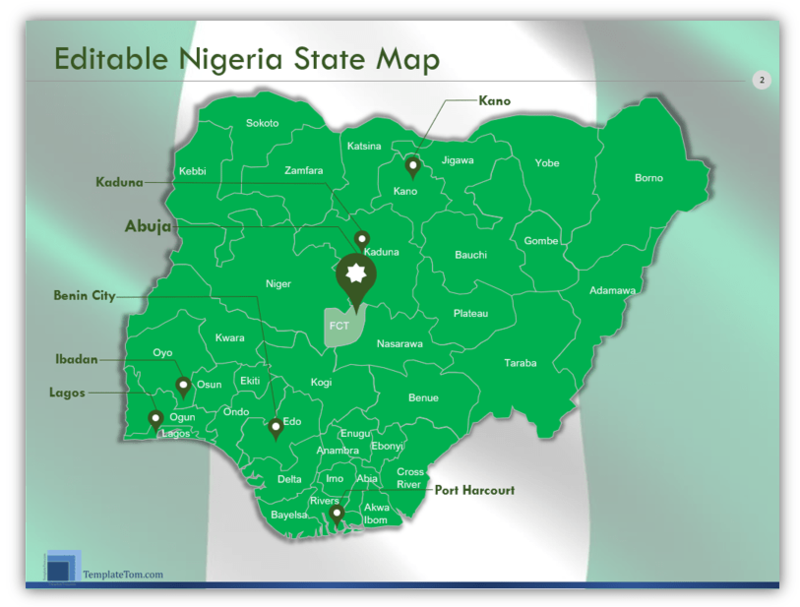 The Nigeria State Map Template provides a fully customizable Nigerian States map that can copied into PowerPoint presentations and word documents. Each State on the map is labeled and can be relabeled according to requirements. Each State can easily be colored to highlight that State or a group of States and the map can also be resized. Teal Color scheme Nigeria Map, with Colored Legend – highlighting four States and their most populous cities.